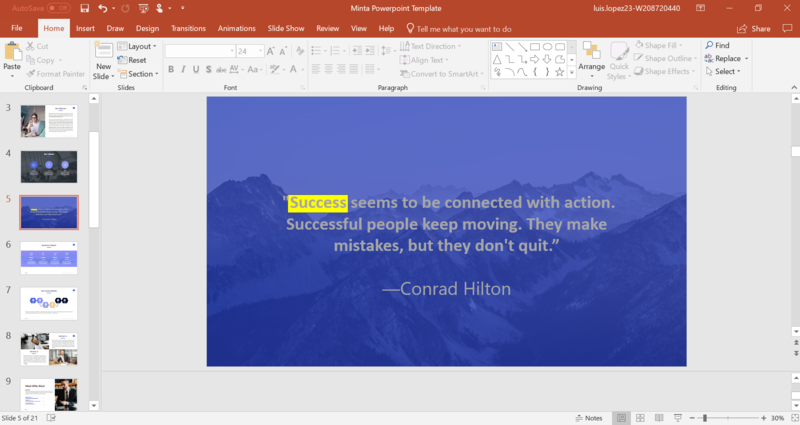 In this article, you will learn how to highlight text in Powerpoint with ease. 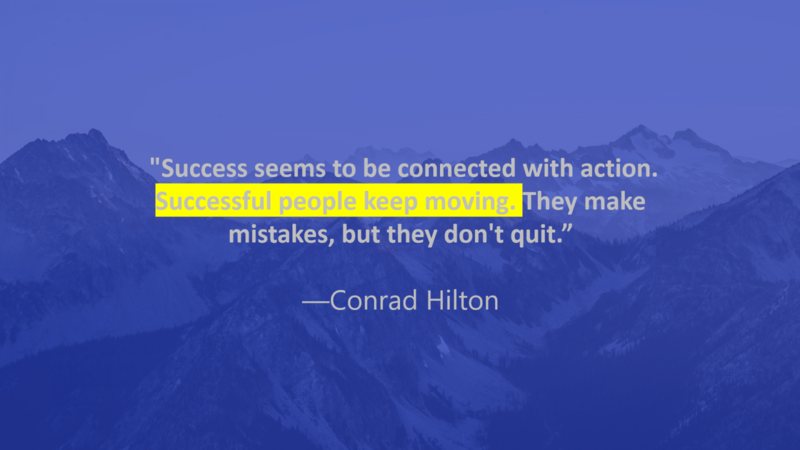 Highlighting is a great way to make the important information stand out. By highlighting relevant information like dates, keywords, vocabulary, quotes, and phrases you can focus on the main idea of the reading. In addition, highlighting encourages you to critically think and helps you to formulate your own response. If you are presenting to an audience, then you may choose to highlight certain information in your Powerpoint presentation to give them a better understanding. 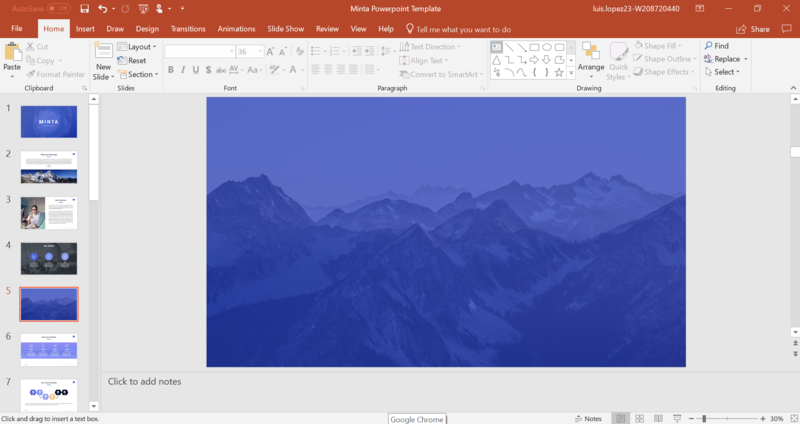 Depending on the Microsoft Powerpoint version you have, highlighting information may be different, or you might prefer one way from another. For that reason, we have provided four different ways for you to highlight step-by-step. If you have the 2013 version of PowerPoint, then you will have noticed that there is no option to highlight text. 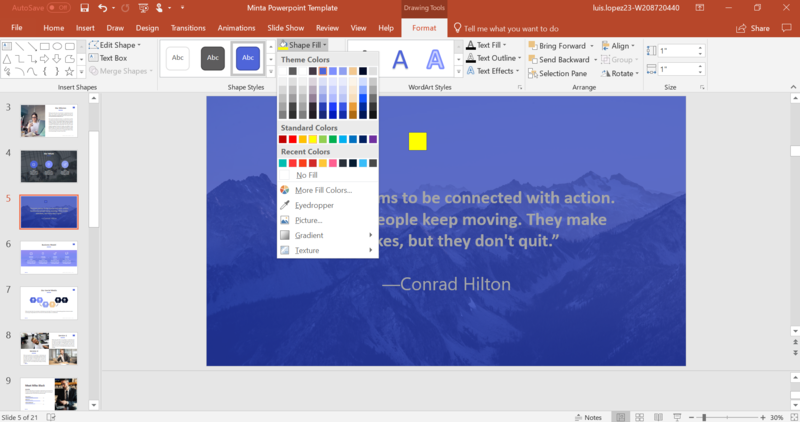 The first way we are going to show you how to highlight will also involve using Microsoft Word. So, let’s begin. 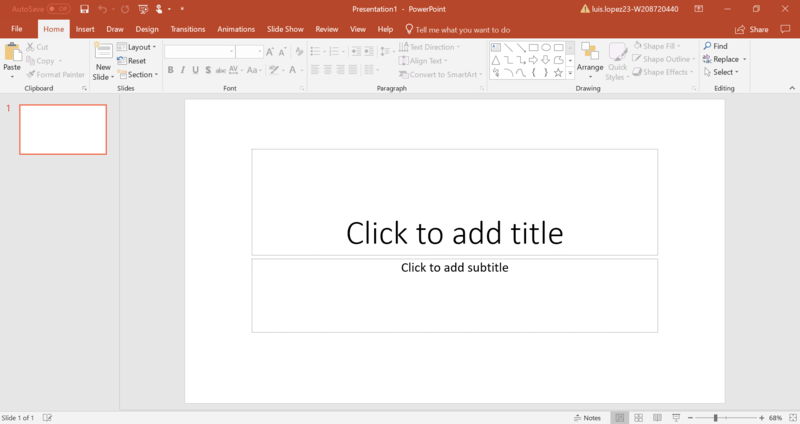 First, you are going to open PowerPoint. 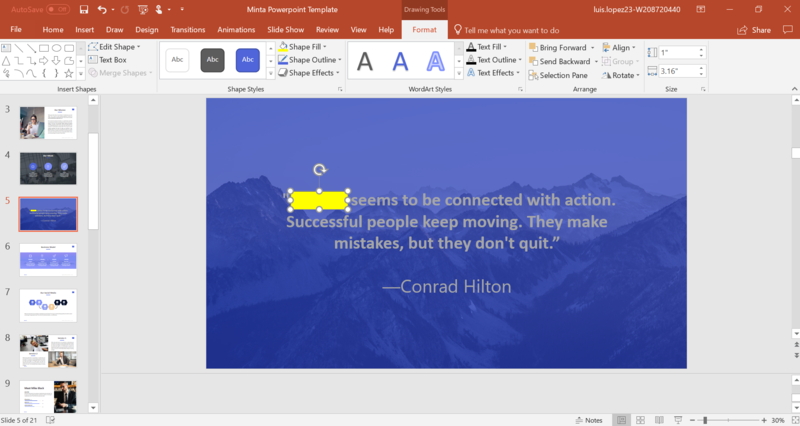 Once you have your information on the slide, you are going to select what you want to be highlighted. For example, I will highlight the second sentence. 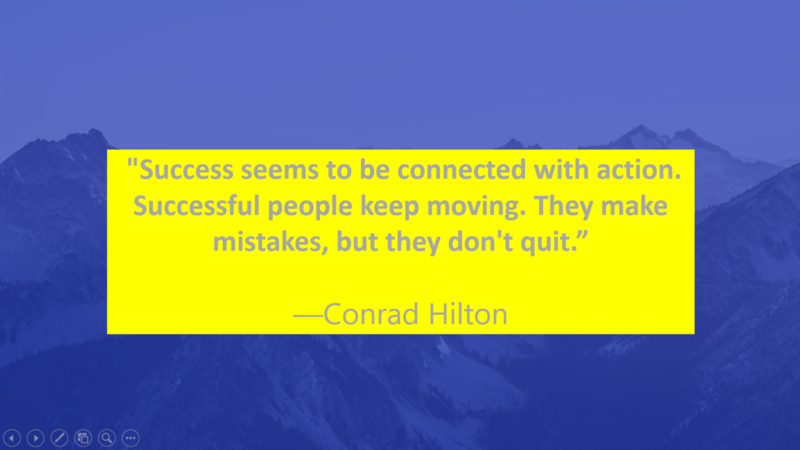 Once you have selected the word, sentence, or phrase you want to be highlighted, you are going to copy it. 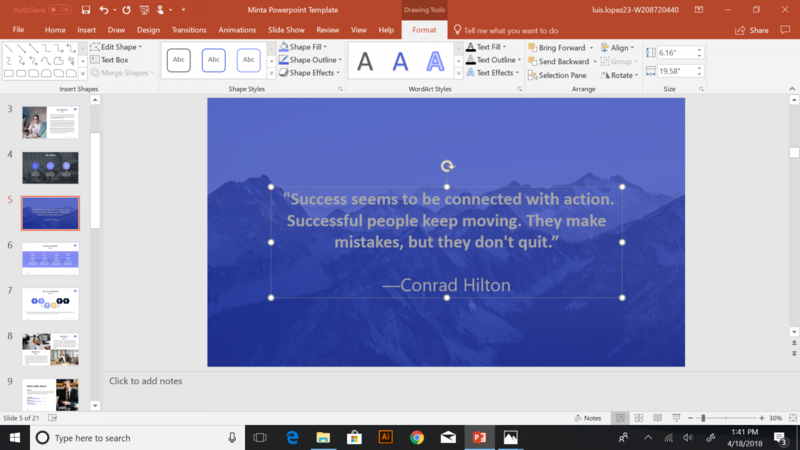 You can do it in two ways, you can press the CTRL (control) button and c or you could right click on the mouse and press copy, as shown below. 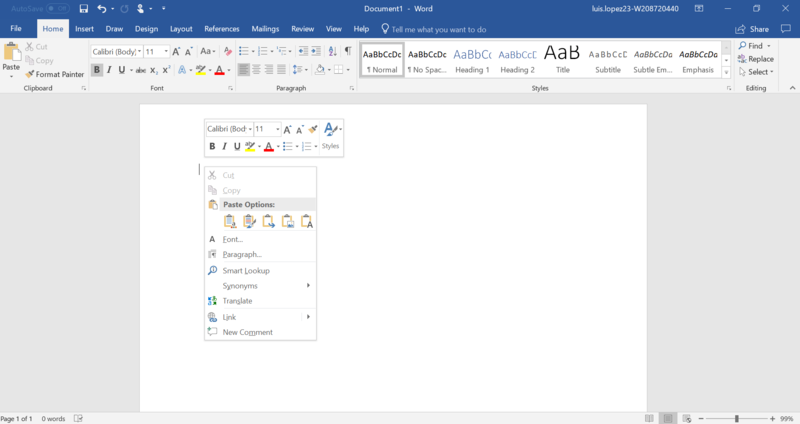 Once you have your information copied, you are going to open Microsoft Word and paste the text into the word document. 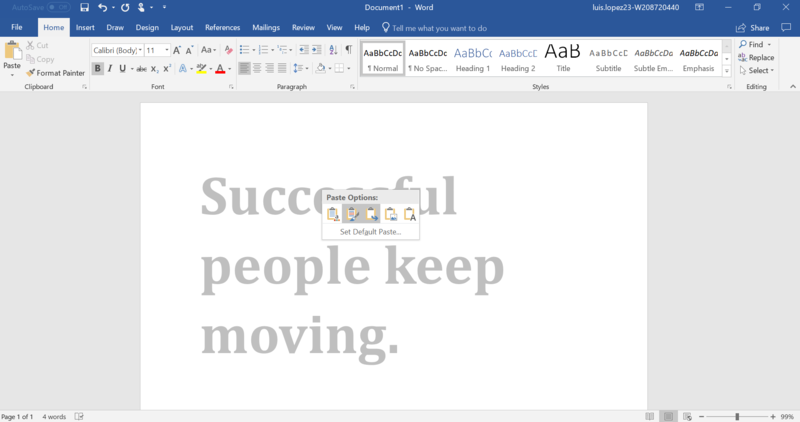 Similar to copy, you can either press CTRL and v to paste or right click and paste. 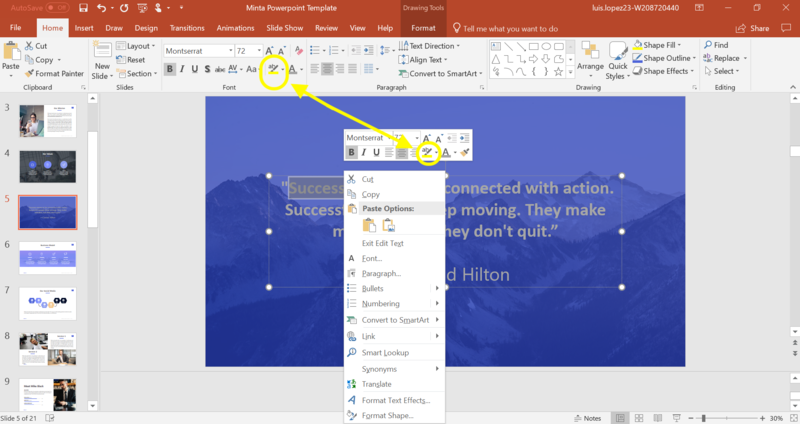 With both ways, you can keep the format, so when you go to copy again and paste into Powerpoint you do not have to worry about changing it. 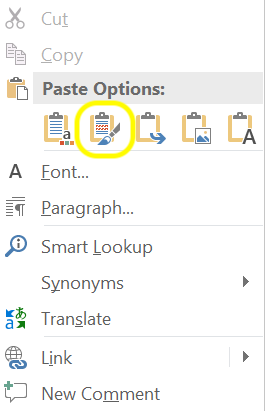 When you hover over the icons of the “Paste Options”, you will be able to see which option, which is circled, will keep your text in the same format. 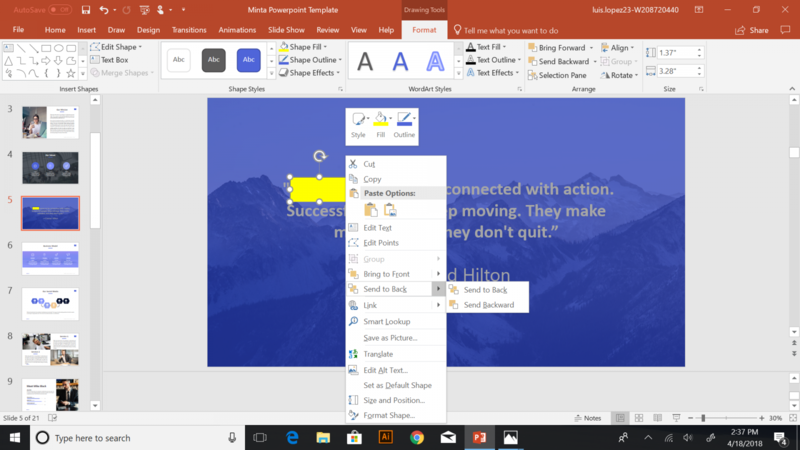 When your information is pasted onto the Word document, you want to highlight your text, then in the Home tab, you will find the highlighting tool. 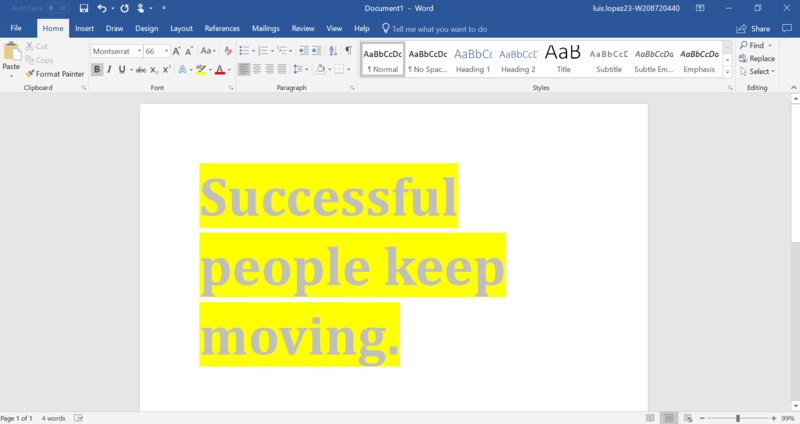 You will click on it, and it will automatically highlight your words. 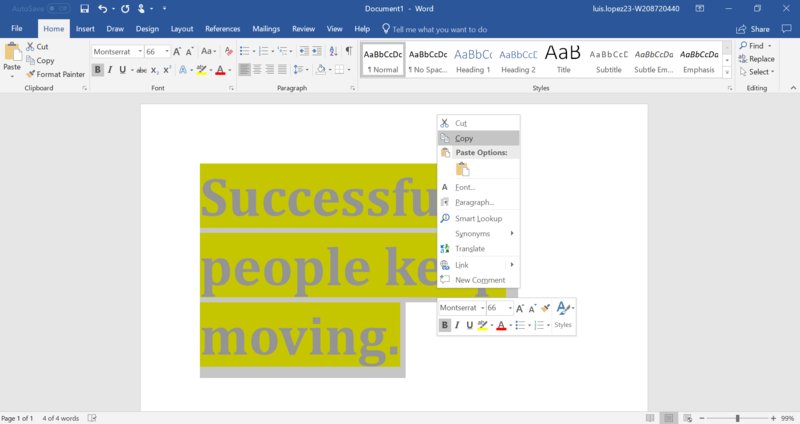 When your words are highlighted, you will copy the text and open Powerpoint. 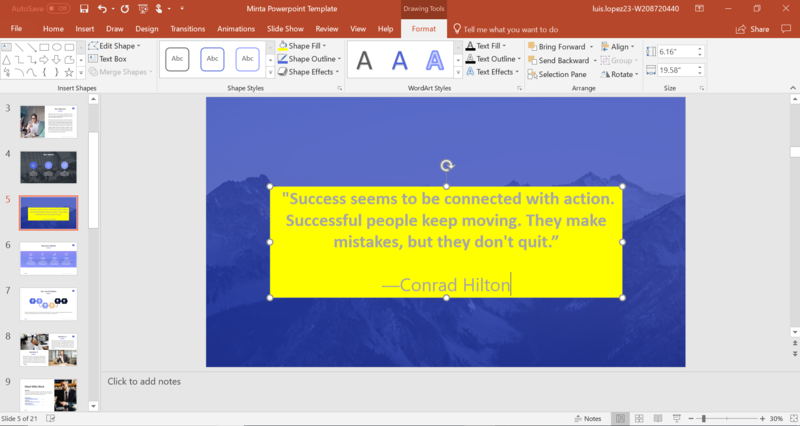 When you are in powerpoint, you are going to re-highlight the text you want to be highlighted. 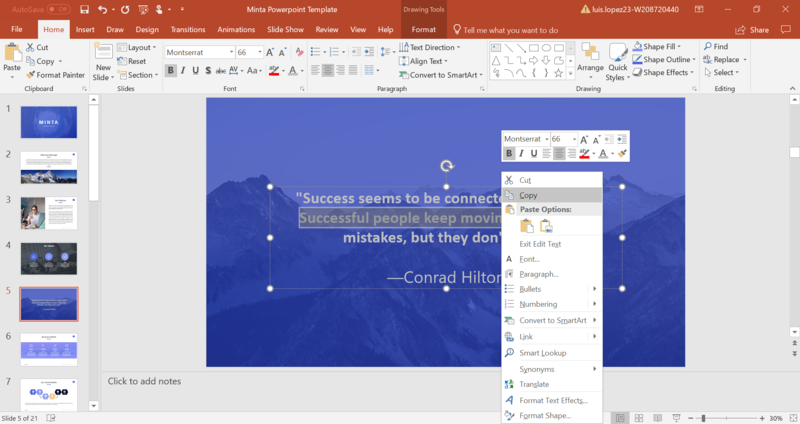 Similar to how you pasted in Step 4, you are going to paste, while keeping the format the same. Using a TextBox is easy. If you would like to highlight a long text, then it would be easier to put all the information you want to be highlighted in a TextBox. 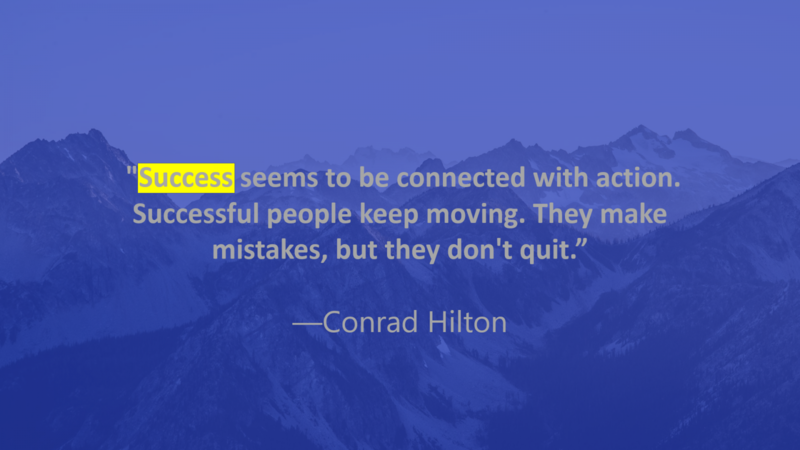 With the TextBox, you highlight everything that is inside, not just one word. If you want one word or two, then look at one of the other examples provided. For a sentence or phrase, this method would be faster and easier. Go to the Insert tab, and look for TextBox. Then, insert the text you want to highlight into the TextBox. 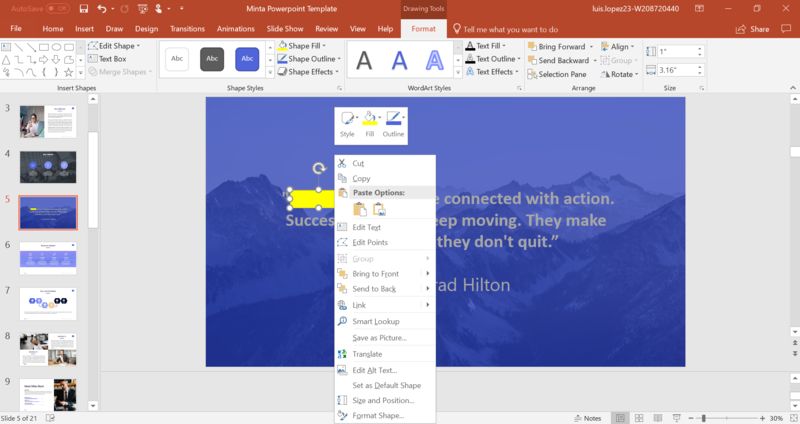 Go to the Format tab, and look for Shape Styles. Then go to Shape Fill, then pick the color you want to highlight your information in. I will use a normal highlighter yellow color for this example. Your text would be fully highlighted and ready to be presented. Similar to TextBox, it will be easy to highlight by inserting a box. 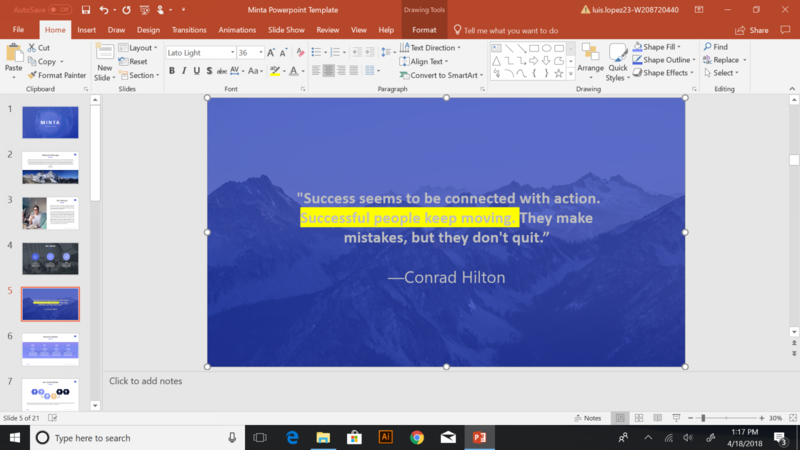 Unlike TextBox, you will be able to choose certain words you want to be highlighted or you could also highlight a lot more, and make it look more realistic in contrast to TextBox that highlights everything whether it be words or just empty space. 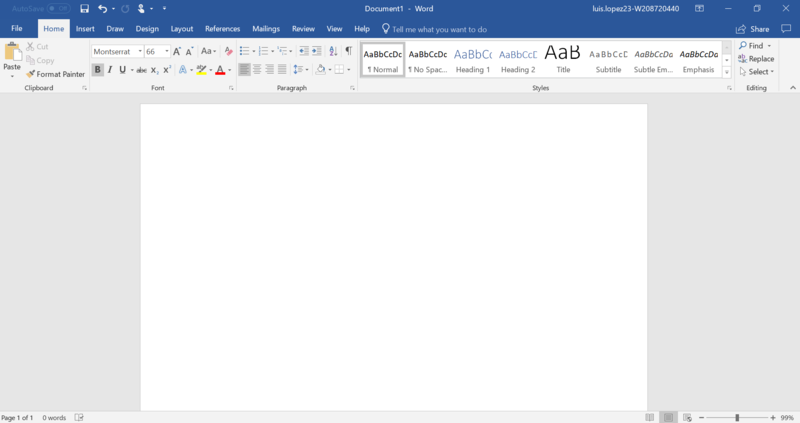 Once you have typed up the information you want to highlight, then you will go to Insert. In the Insert tab, you will look for Shapes. 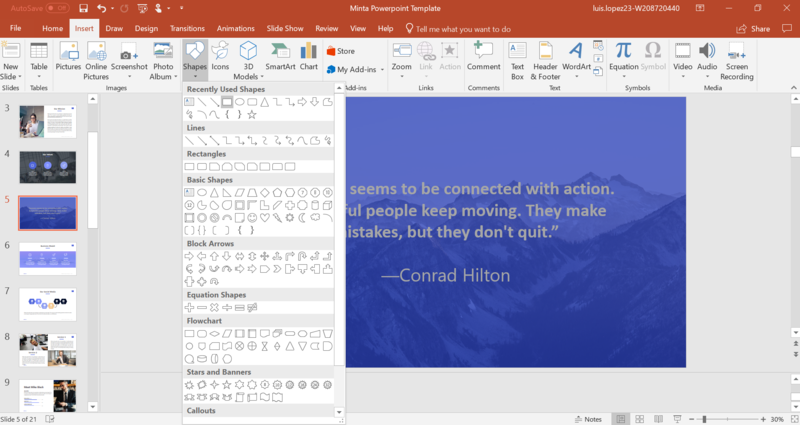 In Shapes, you have the option to choose a rectangle, oval, or the squoval (square with round edges) shape to highlight your information. For this example, I will go with the normal rectangle. Note: When you choose the shape, you will get a “+” as the mouse pointer. This will help you create the rectangle and size it, to cover up the word you want to be highlighted. Got to the Format tab, and then in Shape Fill, pick the color you would like to highlight your text in. After that make it the size and length of the text you want to highlight. When your shape is the size of the desired text to be highlighted, then you will right click on the mouse, click on the “Send to Back” arrow, then click on Send Backward, and voila! Note: If you have a background, like in the presentation being used, if you press on the first option of “Send to Back”, you will send your shape all the way back where you won’t be able to see it behind the background. If this has happened, undo, then click on the second option of “Send Backward”. 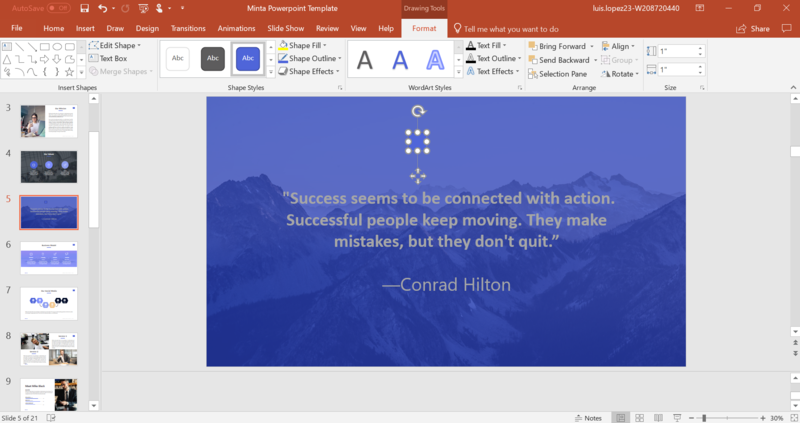 Open PowerPoint and start your presentation. When you have your text and are ready to highlight, highlight the text you want to be highlighted, and you have two places to choose to highlight. Press either one and you are done! If you put the arrow down, you can choose any color to highlight your information in. As a result of highlighting information, you will give your audience the main points they should be focused on. 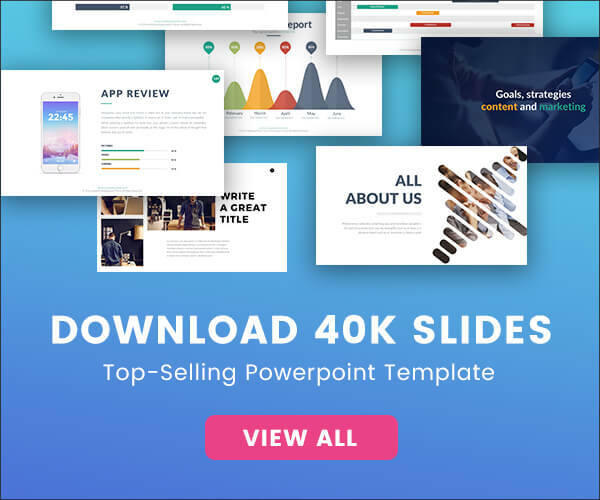 So, follow this simple steps to highlight all the important information, and encourage your audience to formulate their own responses and enhances their attention to focus on what you are discussing in the presentation.